I love reading series. It allows you to see characters develop over so long; to love them more and more as you get to know them, book by book. It keeps your excitement crackling as you wait for each installment. In the case of fantasy, it allows you to dive deep into a world that couldn't be explained in just one novel. The development of a world with huge scope, and of characters with long and nuanced arcs, is something I find very compelling. That is one of the reasons why I love George RR Martin's A Song of Ice and Fire. For the purposes of this post, it definitely comes under the Joys of Series. So I read this recently. To a non-fangirl, it would seem a little bit counter-intuitive to put this book in the Joys section. But it was a joy. Just a heartbreaking, nerve-wracking, sanity-shattering sort of joy. A Feast for Crows was excellent. The plot was, once again, on point. I felt that it dragged a little at the beginning, but it picked up, certainly. Each strand continued to tick over beautifully (or, rather, each strand continued to launch itself around in a bloody and unpredictable manner, leaving me breathless and scarred). But can we just talk about character development? I'm loathe to speak ill of ASOIAF. You know when you really love books, and you recommend them ruthlessly and hate discussing their flaws because to do so feels like a betrayal? That's how I feel about this series. But I am not blind to its faults. I see them. Namely, it can drag a little (because the books are gargantuan) ... sometimes the action drowns in itself. I felt this most acutely in A Clash of Kings, for parts of which I was, frankly, bored. I'd say A Game of Thrones and A Storm of Swords: Steel and Snow are the least guilty of this problem; they both move marvellously fast, and as such are two of my favourites thus far. I have to admit, when I started A Feast for Crows it seemed slightly dragging. But at this point it's basically my favourite, and why? A Feast for Crows is actually a fantastic and heart-wrenching textbook on how to develop your characters. Throughout A Song of Ice and Fire, a big theme is that of good vs evil, of nobility vs self-interest, of what is right vs what is the best thing. Martin's characters demonstrate, again and again, that "good" people can do terrible things, and "bad" people can have hidden depths of good. Jaime Lannister displays this in a pitch perfect fashion. In the first few books, I hated him. I mean, I really, really loathed him. But Martin is a genius ... and with incredibly clever development, with masterful nuance, he has transformed my opinion. Now, at Book 5, I'm in love and obsessed with him I like him a lot. Really. For the full depth of my fangirl, go to this post. I mean, I love him a lot. Through the character of Jaime, Martin shows a man twisted by an amoral society; trapped in the expectations of others and himself; hiding behind his abilities and looks and cruelty, when really, deep down, he is hurting and terrified. He shows the way in which good works in Jaime, mostly through the influence of Brienne (AKA my number one favourite gal); the way in which scratching the surface of his character reveals goodness that has been blackened by his life but is waiting for an opportunity to show itself. Jaime, I think, is scared to be kind because he is always afraid, always armouring himself in sarcasm and recklessness, but A Feast for Crows shows beautiful development in his character. He presents an arc that just couldn't be achieved in one book; it has taken five to get to this point. And that is why reading series is a joy: you are tied to the characters over hundreds, often thousands of pages, and see them change in wonderful ways. Reading series also has its perils. I'm talking, of course, about the struggle that comes when the first book isn't that good. Alex is seventeen and living an ordinary life, her thoughts filled by school, friendships, a crush on her friend Rob ... But when she finds an amulet half buried in the River Thames, her world is changed irrevocably. I won Small Blue Thing last summer. I quite often enter bookish giveaways, even if I don't think the book sounds great, because, like, free books. And because sometimes a book that I don't think looks amazing is amazing. Exhibit A: The Raven Boys. I'll confess: when I received The Raven Boys I wasn't mad keen on the idea. A paranormal contemporary about dead people and romances? Can we not? But I read it. It was wonderful. 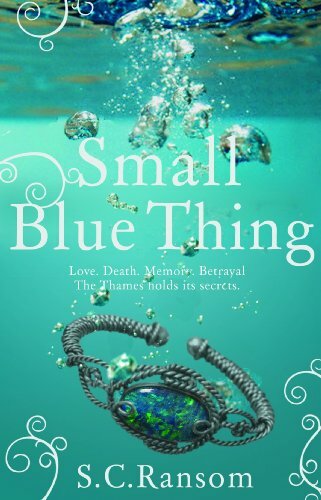 Small Blue Thing is also a paranormal contemporary about dead people and romances. Again, I wasn't thrilled by the look of it, but, thought I, remember The Raven Boys! So I read it. The writing quality ... well. It has a certain honesty about it, which I liked. Ransom wasn't trying to be too clever or getting caught up in stupidly flowery prose. She wrote plainly and I appreciated that. 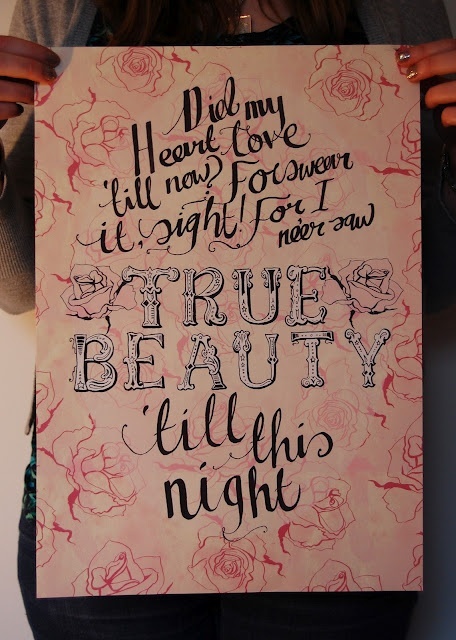 But I didn't think the writing had any beauty. A lot of the time I was wondering, slightly: why didn't that get edited out? My favourite bits where the bits where Alex (the MC and narrator) interacted with her friends and family. They felt like they were the most honest. I liked Ransom's portrayal of sibling relationships, of teenage girl friendships and of secondary school. It all felt very real. However, the romance really really really didn't do it for me. I have very mixed feelings about insta-love. Taking Romeo and Juliet as an example, I am often well up for love at first sight. In that play they see each other across a room and bam, that's it. Three days later they're ready to die for each other. And I am wholly on board! I believe in their love! Stepping outside Shakespeare, another great example of insta-love done well is Shiver by Maggie Stiefvater, which I just finished this morning. In it, the two MCs, Sam and Grace, don't waste much time in starting their relationship. But other times? The whole "love at first sight" thing is unbelievable and stupid. I really did not like Alex/Callum in Small Blue Thing. To ship any ship you need to be equally invested in both characters, I think, and whilst I quite liked Alex, Callum was about as 3D as a cardboard cut-out. That's basically all he was. A cardboard cut-out of a good-looking, soulful boy. I understand the idea of their instant attraction to one another ... but they barely even talked! They just spent the whole time moping after each other, like "oh I wish I wasn't a dead spirit conjured from a river! Then we could be together!" Right. I get it. Yours is a tragic love story. But that means the time you can spend together is so precious .... so why not have a proper conversation once in a while? For me, there was little that was real in the romance. It felt like a lot of ideas about love poured onto a computer screen, with no grounding in anything true. I felt as if Ransom had taken ideals and conceptions of teenage love and mashed them together, but had given them no depth; given the characters no depth. Because of this, though I am willing to get on board with love at first sight, I really couldn't cheer for Alex/Callum. The whole premise of the dead in the river was interesting, and I think the plot was pretty good, though a little strange toward the end. Overall, Small Blue Thing was enjoyable in part, but poorly characterised; not life-changing. This presents me with the Series Peril. To keep reading, or not to keep reading? I just don't know! I have all three books in the trilogy (I won them all together), so it would be easy to pick up the second. But do I actually want to? Part of me does. 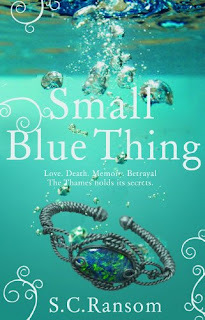 For all the negative things I've said there was something I liked about Small Blue Thing. I also hate not finishing what I've started; I never DNF books, and my reluctance to do so extends to series, too. It seems wrong! On the other hand, life is short. I have got ALL THE BOOKS to read and can I really justify spending more time on this trilogy? Maybe ... maybe not. I think the thing to do at this point is to let it sit for a bit. If, in a few months, I'm still feeling any sort of pull toward the series, I'll pick up the second one, Scattering Like Light. I'm a hopeful animal. Who knows? Maybe it will get better! If not, I'll say goodbye. So tell me: have you read either of these? What's the best character development you've ever read? Which is a series you took the decision to abandon? Which is another that you've kept reading despite not loving the first one? Are you glad, or do you regret it? Oo, and finding out a character had more to him than before is awesome too! Yeah, the perils of series are a bit, eh, confounding. What do you do if the first one was just a debut book? I mean, we hope the writer is going to get better at what they do, so can we continue and hope those small (or large) annoyances will go away? There's this mystery series I read. But I started with the second book without realizing it. It was awesome and so well written. Then I found the first book and was really excited because now I could figure out what they were talking about in that second book. It was the author's debut book. And I could tell that between books she had really stepped up her writing. The first wasn't bad, but there were parts that could've used some fleshing out. I don't know if I would have continued or not if I had read the first one first. Though I might have anyways simply because it had an FBI agent who was a geologist and I was kind of into rocks. . . Sometimes when I'm uncertain about a series, I try to ask other people who have read the whole of it. I ask them if what I don't like about it gets better. Or does it just get better in general, because sometimes there are other positives that amp up as the series continues and it's worth tolerating whatever part that I don't like. I liked Inkheart. But I didn't love, love Inkheart. It moved kind of slow. I want to finish the series, but mostly just to say I read it. Which means I probably won't because those books are HUGE and I don't have time to read them. Unless- someone tells me the rest of the trilogy is astounding and why haven't I finished it yet!? I have the time problem with the Ranger's Apprentice too. It's a really easy read, yes. But it's not, I don't know, gripping? Or the first two books weren't at least. They were hilarious! But I kind of consider them fluff books (I've never seen another fantasy fluff book), and I hate saying that about the Ranger's Apprentice. But I want to keep reading them because it sounds like they get heavier, I mean. . . they have more depth later in the series. My feelings exactly! Jaime. I love you. Looking on Goodreads right now, to paste in my Small Blue Thing review, I see that the first one has a significantly lower star rating than the second two. What does this mean?? This is wise advice. I wish I'd met someone else who'd read the SBT trilogy! I loved Inkheart when I read it aged, like, 11. Who knows. Maybe I won't love it second time round. But I have all three books -- I've bought them all secondhand over the past year because I decided I wanted to reread. I don't remember much about them ... but I did love them! When I reread them: I will tell you! Never have I ever read a fantasy fluff book. I don't really know anything about the Ranger's Apprentice, though I have a vague consciousness of its existence, mostly, I think, from hearing you mention it ... I'm going to look it up right now. It sounds quite good! Though the Goodreads summary ain't giving much away. From reading that, I'd not surprised if it were really good, or really bad. It could go either way. But do you recommend? PS Thank you, Ashley, for such a beautiful long comment! I haven't read Small Blue Thing, but based on what you said I probably wouldn't - I usually don't care for instalove at all. Although there are sometimes when it's done well, like Shiver. I actually read (most of) the sequel to Hush, Hush, but the reason is beyond me because I couldn't stand the first one. I cannot understand how it's so popular and how it's even a romance. Yeah, I wouldn't really recommend it! Instalove is not my cup of tea (though Shiver is A+). I've heard people say they love Hush, Hush, but others definitely don't, so I doubt I'll be picking it up any time soon. Hmmmm. That is a perplexing conundrum. Obviously I love ASOIAF and things do DEFINITELY pick up with the third book (A Clash of Kings is not that good but it is an upward trajectory from there), so I'm tempted to shriek "YES READ THEM READ THEM!" But if you didn't even like the first one (which I think is fab) ... I don't know. I mean, they are huge. I wouldn't really wish it upon anyone to reread them. I'd say give it a few months, and if you're still wondering, try again! A Storm of Swords is really, really good. I promise. I liked the first one, I think... it's been a while. I think I will try it again sometime, but just probably not soon. And I don't mind the hugeness... I just minded that A Clash of Kings felt like a history book, not a fantasy novel. It can be a joy returning to a series you didn't finish and reading it all. That's what I'm doing currently with Percy Jackson, and I have others lined up for the same treatment: Annie Sage's Septimus Heap series, the Gone series by Michael Grant, and the Threads trilogy by Sophia Bennett. Because sometimes you fall off the end of a series. It happens. A Clash of Kings had not much action, not many feels, and quite a lot of yawns. But it does get better! It does! I DESPERATELY WANT TO READ THE GAME OF THRONES SERIES! I love books that have such wonderful writing that makes you hate characters, and fear for the lives of characters and just get utterly and completely consumed by the world of words you're reading. PS sorry for this ridiculously late reply, I only just saw this!